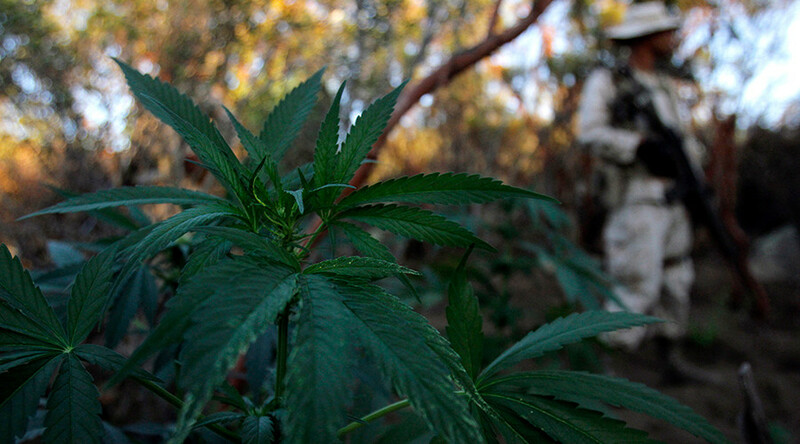 The first permits for growing legal marijuana have been issued in Mexico. Four individuals have been awarded the permits following a decision by the Supreme Court. Members of the Mexican Society for Responsible and Tolerant Personal Use (SMART) received the permits. SMART are pushing for full legalization of the drug in the country in an attempt to reduce drug-related violence. One of the recipients, Armando Santacruz, took to Twitter to show off his permit. Government health watchdog Cofepris said the permits are limited to those four people only, two lawyers, an accountant and a social activist. Under the new ruling they can grow and consume marijuana for recreational purposes. The sale of the substance and use in front of children and pregnant women remains illegal for permit holders. The Supreme Court ruled in favor of SMART in November, finding that the prohibitions on using marijuana were unconstitutional and violated the “right to the free development of personality." If the court makes a similar ruling on five more petitions Mexico will have to change the law to allow general recreational use of the drug. SMART say they have no intention of using marijuana, instead they want to use the decision to encourage the government to legalize the drug. President Enrique Peña Nieto has opposed the legalization of marijuana, but he has also held talks with experts to discuss potential new regulations. The issue will be discussed at town hall meetings across the country in January and will allow “any citizen that wishes to take part can express his or her opinions and questions about the issue and all Mexicans can follow along” according to Interior Secretary Miguel Ángel Osorio Chong.